Outerspace are a team of creative minded designers and landscapers with decades of experience between them. The garden design process begins with Terrey who takes the lead in all design work. Alongside Terrey, Conrad who oversees the build and ensures that the vision of Terrey translates in a beautiful garden for their clients. Backing up Terrey and Conrad are the hardy Outerspace build team who work to exacting standards through, we are told, any and all weather. Outerspace pride themselves on their ability to work to most budgets on both domestic and commercial builds using their experience and knowledge of the landscaping sector to choose the best materials for the jobs at hand. It is here that the relationship between EverEdge and Outerspace comes into play. 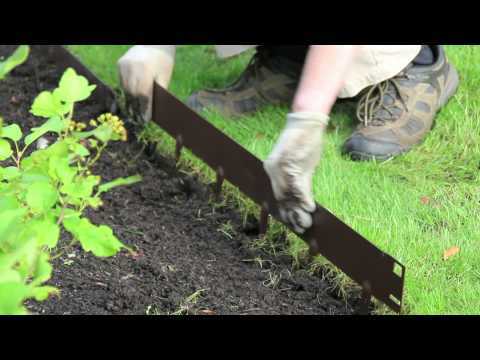 EverEdge offer a large array of landscaping products from standard lawn edging to custom made walls and planters. Outerspace have tapped into the EverEdge range to complement their designs using products to help create definition to borders and to feature as stand out design features. At the top of this page there is a gallery of images scrolling across showing a few of the Outerspace projects where EverEdge products have been used for a variety of projects.